On Monday, October 15, RiteAid visited S.A.Y. Detroit Family Health Clinic during their “acts of wellness” national tour in celebration of its 50th year. Local Michigan RiteAid employees and managers stocked the clinic with seventy Health & Beauty Kits, as well as office supplies and vital first aid items. The clinic is the nation’s first free medical clinic devoted to homeless children and their mothers, and has expanded to serve the uninsured and underinsured in the Detroit metro area. 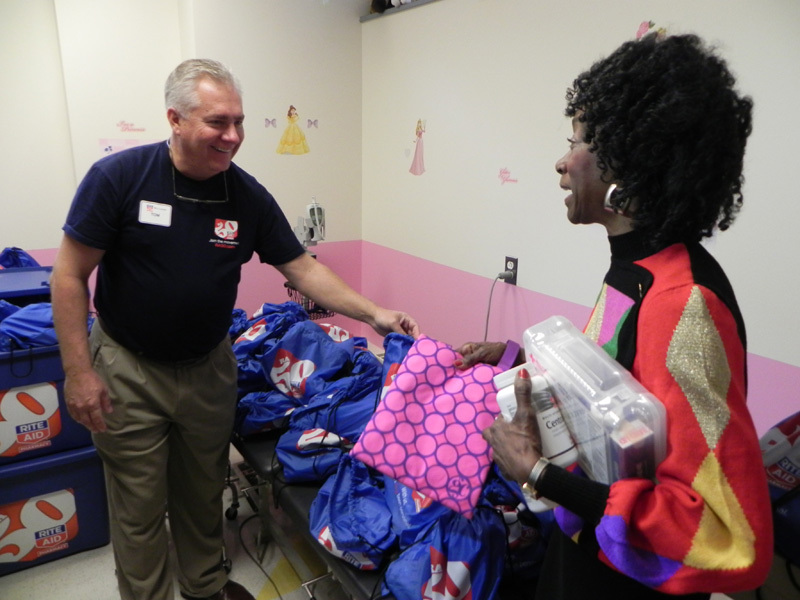 The supplies provided by RiteAid are welcome inventory for the clinic’s patients, many of whom cannot afford the basic necessities the kits can provide. Doctors and staff from the clinic also discussed current health-related issues that acutely affect the community, including diabetes education and holistic, alternative medicine options when combating the illnesses common to patients living in poverty.